Is the content in the Story section from the manual or something? If it's not, it is ridiculously unencyclopedic and needs to be re-written. If it is in fact from the manual, can someone please provide some sort of sourcing? As it is, it is extremely unprofessional and reads like a casual conversation. "When Link pays the Old Woman behind the waterfall, she will tell him to go "Up, up, up, the mountaintop." This was corrected to "up, the mountain ahead". This refers to the mountaintop where Link acquires the White Sword." "The Old Man is well known for his vagueness in messages. One of his most famous quotations is "DODONGO DISLIKES SMOKE", indicating the Dodongo's weakness to bombs. Another odd quote is "DIGDOGGER HATES CERTAIN KINDS OF SOUND"." This discussion is off topic. Zelda Wiki is an encyclopedia, not a forum. Please consider continuing this discussion on Zelda Universe's forums. Talk Pages are meant to discuss improvements to the article, not the subject of the article. Comments like "This is my favorite item" do not belong here. image in question I haven't seen this artwork on here and thought I'd bring it up. 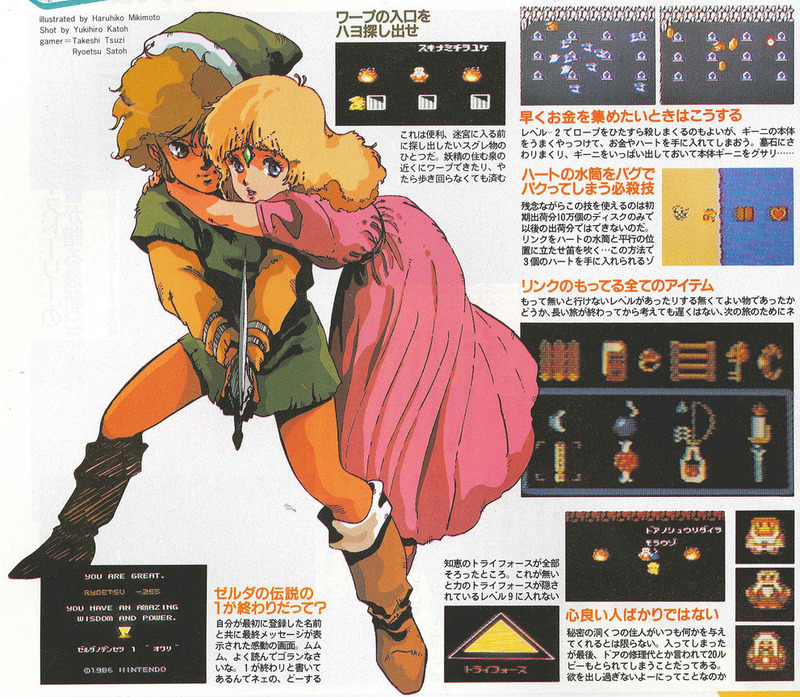 It looks legit, like official art work from the Japanese manual from the first game. I don't know what upload image rules regarding older games are, so I didn't want to upload it without knowing if it is legit or not. I was thinking of a way to refer to this particular game without potential for confusion with the series proper. I propose referring to this game as "The Legend of Zelda: The Hyrule Fantasy" or simply "The Hyrule Fantasy" (THF) as a means of disambiguation. I'd advise better counter-arguments than just "we've done it this way for too long" or simply "No." Please defend your disagreement better than that. This page was last edited on 18 November 2016, at 21:06.